. 2017 VARSITY SCHEDULE .
. 2017 JUNIOR VARSITY SCHEDULE .
. 2017 FRESHMEN SCHEDULE .
. 2017 PROGRAM PHOTO GALLERY . Joe Hesse - Varsity Head Coach - Coach Joe Hesse enters his 20th year of teaching PE and head coaching the Varsity Girls Volleyball program at Gilbert High School. He has a career record of 610-161 and has led the GHS girls to 12 consecutive region titles, 10 Final Four appearances, and 3 state championships. He also has coached club volleyball for the past 21 years. Coach Hesse played volleyball for ASU from 1993-95. 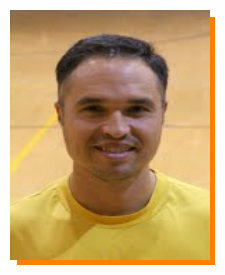 He graduated from Arizona State with a Bachelor of Science degree in Exercise Science and has a Master's degree in Education. .
Matt Gutierrez - Varsity Assistant Coach - Coach Matt Gutierrez has been coaching girls' volleyball for 16 seasons. This is his fifthr year assisting Coach Hesse with the varsity program. Coach Gutz previously coached the freshman team and had an excellent winning record there. He will also be heading into his 12th season as the head varsity baseball coach. Coach Gutz received his Bachelors and Masters degree from Northern Arizona University and he is a Spanish instructor at Gilbert High School. Matt married his wife Holly 16 years ago and they have two children, Natalia and Antonio. Devin Ladewig - Junior Varsity Head Coach - This is Coach Devin Ladewig's first year coaching with the Gilbert Tigers Girls Volleyball JV team. 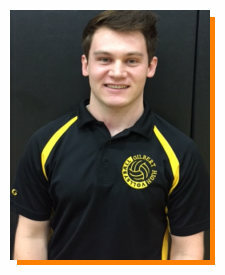 He graduated from Gilbert High School in 2011, and was a setter and libero for the Tigers from 2008 - 2011. 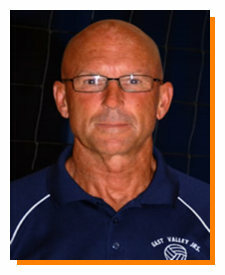 Coach Ladewig also played for the Victory Volleyball Club during his high school years. He is currently studying Accounting at Mesa Community College. 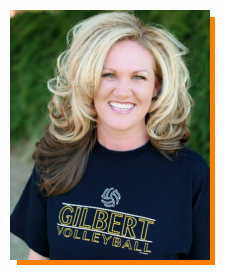 Mindi Moser - Freshman Head Coach - Coach Mindi is excited to be coaching the Freshmen Girls at Gilbert High School She also coaches girls and boys club volleyball at EVJ. Mindi played volleyball at Arizona State University from 1995 to 1997. She has been married for 21 years and has five children, three who are very active in the volleyball world. Her oldest daughter Tristyn is currently playing her sophomore season at BYU. Her oldest son Trace is a junior who transferred to Gilbert High School this year, and is excited to play for Coach Hesse at GHS in the spring. Trent is in 8th grade, plays club volleyball, and is also looking forward to playing at Gilbert. Troy and Trulie are just starting to learn and love volleyball at 11 and 6 years old. Dave Ahmann - Coach Dave Ahmann has been coaching volleyball from Minnesota to Arizona for over 40 years, and was inducted into the Minnesota Volleyball Coaches Hall of Fame in 1999. He spent four seasons as the JV Head Coach for the Gilbert Tigers from 2010 through 2013, and has spent his time volunteering with the Tiger Volleyball program since retiring. 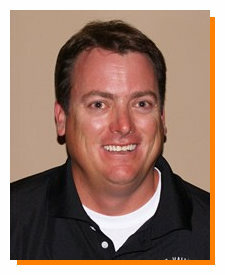 In addition to coaching at Gilbert High School, Dave was a club coach with the East Valley Juniors.